Dana Home Inspections is currently one of a few companies in Georgia that provide infrared thermography technology with every home inspection at no additional cost. This state of the art technology utilizes an infrared imaging camera that can “see” and “measure” the invisible heat energy that is emitted by the building components and can produce thermal images (called thermograms) that can identify and document a wide variety of problems that may not be visible to the naked eye during a home inspection (watch our IR video). Water intrusion, moisture problems, heat loss, air infiltration, missing or damaged insulation and electrical overheating all produce different heat (temperature) signatures that can be identified in the thermal images. 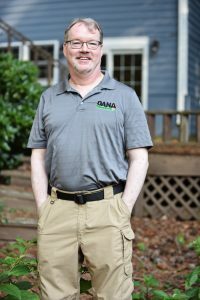 Scott is one of the leading Georgia home inspectors, having performed thousands of inspections in the past 13 years. He is known not only for his technical know-how, but also his ability to present the inspection findings in meaningful ways that both buyers and Realtors appreciate. His reports are not only thorough, but easy to understand – something surprisingly uncommon in the inspection industry. Scott is an expert in all forms of buildings including older homes, new construction homes, condos and even light commercial inspections. Scott is an ICC-certified Residential Building Inspector, a Certified Inspector of the American Society of Home Inspectors (ASHI), and a certified 203(k) HUD Consultant. Tom Crawford joined Dana Home Inspections in 2016 after working in the civil engineering industry for 21 years. A majority of his experience being in the development of new commercial sites and public/private utilities. Tom brings this engineering experience, as well as the practical experience of having owned, and dealt with repair issues, with multiple homes over the years. Tom is a graduate of the American Home Inspectors Training Institute and prides himself on being methodical and detailed — qualities necessary for home inspectors. Qualities he looks forward to putting to use for you. Mark’s interest in home building and inspections began at an early age, as he helped his father build and renovate homes in South Carolina, which led to his studies in Electrical Engineering at the University of South Carolina. His knowledge of Air Conditioning Principles came from the automotive side, as he sold and installed auto air conditioning for A.R.A. Manufacturing Company. For the past 7 years, he has been a member of the CBC Construction Team, building new facilities and additions throughout the Southeast. 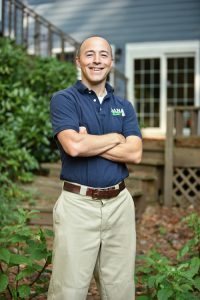 Mark is a graduate of the Home Inspection Training Institute in Roswell, GA, and knows the importance of “connecting the dots” in performing an accurate home inspection.